Wonsun is a very reliable company, fast shipment and good quality, the most important is competitive prices. I really recommend, a great team and good quality. Very good. I will buy again. Packed in bubble wrap firstly, and then reinforced with carton for outer packing. 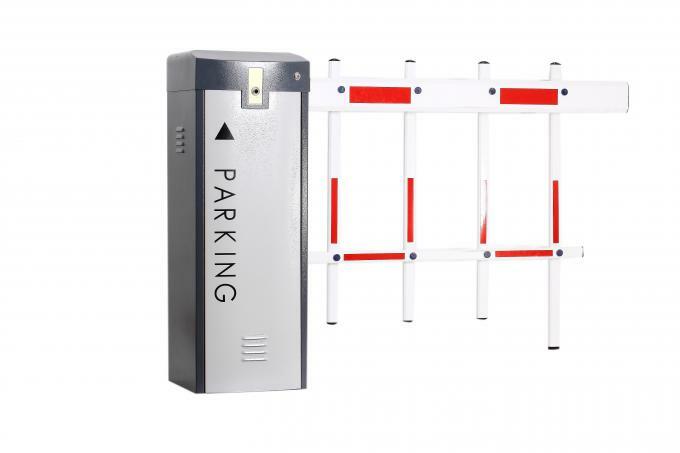 Parking lots, toll gate, goods yard, railway crossing, commercial premises, apartment block access shopping malls, hospitals, stadiums, business centers,etc. 1. Mould production with accurate grinding and heat treatment of worm and main rod, which is high accuracy, low comsumption and less noises. 2. Arm Reverse Function: Arm will be automatically reverse when it hits obstacles when closing. 3. Arm Swing Out Function: Arm will be swing out when vehicle hits the arm which can avoid further damage to the vehicle. 4. Cooling Fan Device: It will be automatically opened when the motor works in heavy duty and high temperature. 5. Manual Release Cluntch: When loss of power, it can manually open and close the barrier. 6. Sturdy Housing: 2mm thickness cold roll plate or galvanized plate with expoxy paiting, which can be heavy duty. 7. Anti-freezen oil can make our barrier gate working in -45 degree. 8. Spring sleeve can protect the accessories inside the machine case from damaging by spring broken. 9. Module production with all accessories, can be replced easily, and save cost. 10. Pressure spring can avoid damage casued by tention spring, which is more safety. 1. When barrier finish closing, why does the arm open itself slowly? the spring is too tight, you need release the spring a little, then test it again. see whether the main crank touch the triangle tightly or not, if tightly, adjust it. reset the balance position and the electrical limit switch. 2. Why does the controller panel operate with "Di Di Di" abnormal noises? then replace that broken resistance, if not, replace that controller panel. 3. Why does the barrier finish half operation of opening and closing? If uses our controller panel, you only need to find resistance R37 on controller panel, and repalce it is ok.
4. When barrier closed, why is there a 5 degree angle of inclination? the model is not good, and the gear doesn't fit each other tightly. the barrier didn't adjust well, need to reset. 5. When barrier finish open, but it closes itself without any order control, what's the problem? To check the motor sensor, if it is not set well, then reset it in the middle between two holes on sensor rod. 6. Why does the arm wave a lot when opening and closing? The Screw touches the rubber absorption tightly, need to reset again. It is good use for fast speed, like 0.6s, 1s, 1.8s and 3s. The place with many vehicles come and go, like shopping center, carpark area. 8. Can you accept OEM/ODM order? Absolutely, we are manufacturer of barrier gate, with 7 years researching and developing experience. 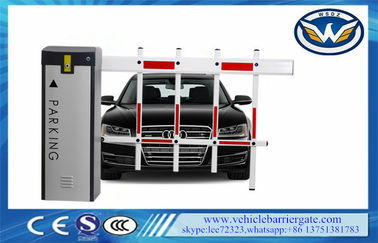 China Good Quality Vehicle Barrier Gate Supplier. Copyright © 2014 - 2019 vehiclebarriergate.com. All Rights Reserved.